I am an avid user of bobby pins. I have whispy bangs that get in my face and, at times, drive me nuts. I always keep a few in my purse, for emergencies. 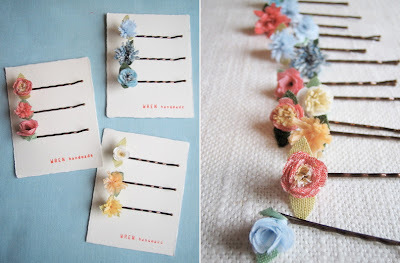 I love these bobby pins from Wren Handmade. they’re the perfect accessory for those days that I’m in a t-shirt and jeans, and could use a little pop to dress up my attire.